(1 Peter5:7): Casting all your care upon him; for he careth for you. God is our Shepherd and like a Good Shepherd, He cares for us and often He carries us through this difficult journey that we need to endure in this world. Despite all the emotional, material and physical assaults and challenges that we face in life, the Good Shepherd is always there to restore, heal and sustain you in season and out of season. Before David became king over Israel he led sheep in the wilderness. He was insignificant and marginalised as a shepherd boy. Nevertheless, He had an intimate relationship with the Lord. At the same time he took his responsibility seriously. 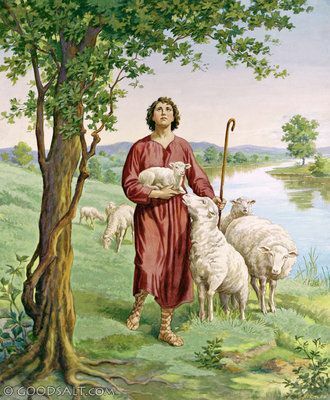 He was intimately involved in caring for his sheep and defending them by all means from the predators in the wilderness. God saw his faithfulness and appointed him to be king over Israel. He likened his God to a Good Shepherd! He knew the valley was dark and dangerous and lonely but he feared no evil. He was a man of courage and responsibility despite the insignificant job that was thrown at him by his family. HE WAS TOTALLY DEPENDENT ON GOD DESPITE HIS POWER AND WEALTH BEHIND HIM. The amazing thing about David was that he acknowledged over and over again that his help came from the Lord God the maker of heaven and earth (Psalm. 121:2). Despite his greatness, despite his power and authority as king over Israel he humbled himself to the point that he is nobody without God. (Prov.3:34): He mocks proud mockers but shows favor to the humble and oppressed. How about you today? You know what? You will never experience and understand the goodness and reality of God until you go through the wilderness. It is vitally important for us to understand that the wilderness is an important place of GOD’S PREPARATION for ourselves if we are to be used by God. The wilderness is a process that will take us to new heights although it’s a very lonely and dark place where help is far and few between. It’s a place where the breaking and crushing takes place. It’s a place of preparation for the future. It’s a place of testing and trials and in the process your character and faith is built to face future assignments in your destiny that God has lined up for you. This is how David went through the wilderness, the valley before he reached the mountain top. By the way, what will the Good Shepherd do when you walk through the valley of the shadow of death? He will follow you all the way through. You know what? Religion has taught us that God is seated in His throne in Heaven and He is unapproachable. You need to perform and proof yourself worthy of Him. That’s not true at all! God is an Omnipresent God, He is present everywhere! Like a Good Shepherd He follows gently behind you, He guides you! He helps you! He sustains your pain! He heals your hurts, He restores your brokenness and gives you hope! Unfortunately, so often we fail to recognize Him when He is so near and manifesting Himself in so many different forms and ways in our lives. He is so close to us. He follows us. Yet never forcing us, yet never leaving us. Using all His Omnipotent power to convince us the He is who He is and that He can be trusted if we would only allow Him to lead us. 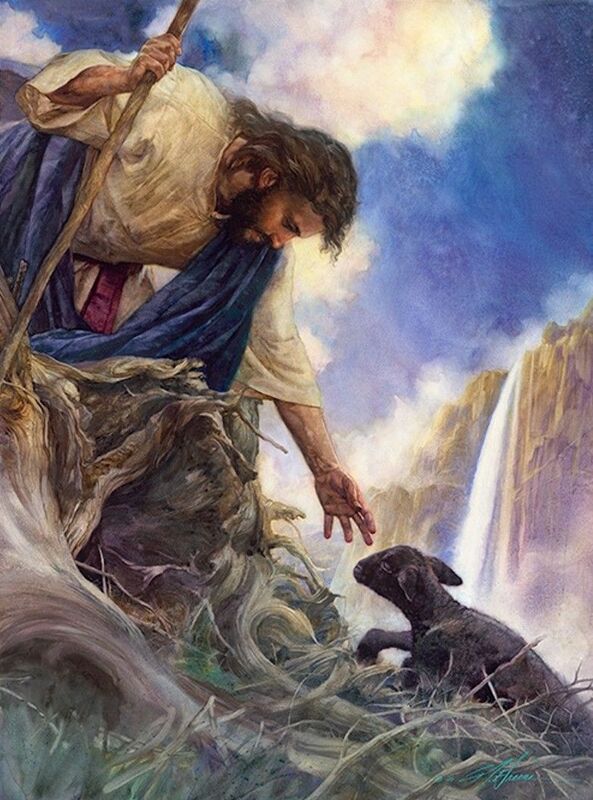 John 10:11-14: “I am the good shepherd: the good shepherd giveth his life for the sheep.